Becoming U is a new, free 9-week psychoeducation program from A Woman's Place designed to respond to our clients' request for additional counseling support options. Becoming U will compliment our RISE program. Becoming U covers topics such as trauma and domestic violence, grief and loss, self-esteem, healthy relationships, and personal growth. 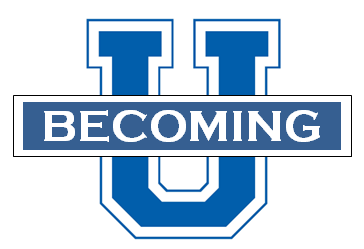 The next session of Becoming U will be held in Doylestown on Thursdays from April 18th to June 13th from 10am-12pm. Due to overwhelming interest, the upcoming session is full. Dates for the upcoming Fall session of Becoming U to be held in Lower Bucks will be announced shortly. For more information or to register, contact AWP Counseling Manager Chelsea Petrosky by email at cpetrosky@awomansplace.org or by phone at 267-614-6153.